Absolutely nothing. Very tired furnishings. No curtains in kitchen/second sleeping area. Poorly furnished, missing base on one of the wardrobes and tipped forward when opening door. Rusted toaster. We arrived early and were able to pop into the flat and drop off our bags and grab the keys. We then went for a quick lunch to allow time for the flat to be cleaned and ready for us. Our check in was easy, accommodating and friendly. The flat is wonderfully located. The sofa bed was a bit hard. But the host was very friendly and very kindly offered us a late check out as well. Excellently located. Clean and comfortable. Good entertainment options. Friendly host. Gute Lage und günstiger Preis. Leichte Schlüsselübergabe. Una piccola casa con tutti i comfort necessari, lavatrice, forno, wifi, riscaldamenti e abbonamenti tv. 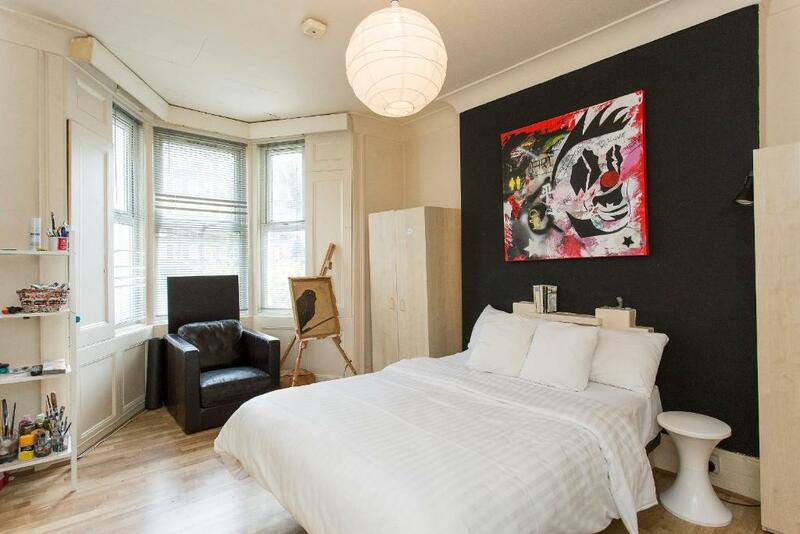 Artist Flat in Camden Town offers accommodations in London, a 19-minute walk from Camden Market. Complimentary WiFi is featured. This apartment features a flat-screen TV, a seating area, a kitchen with a dishwasher and an oven, and a bathroom. London Zoo is 1.8 miles from the apartment. The nearest airport is London City Airport, 11 miles from the property. 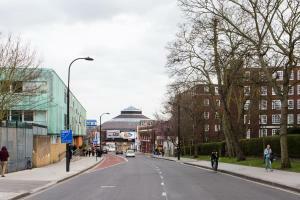 When would you like to stay at Artist Flat in Camden Town? This apartment has a washing machine, oven and kitchenware. Great Artist's flat in Chalk Farm - minutes from tube and 24h busses. Short walk to famous Camden Market. Young professional living in working in London! Camden is a lively neighbourhood with plenty of bars, cafes, restaurants. You can find live music nearby every night. The area is well communicated and accessible by public transport. House Rules Artist Flat in Camden Town takes special requests – add in the next step! Artist Flat in Camden Town accepts these cards and reserves the right to temporarily hold an amount prior to arrival. Please inform Artist Flat in Camden Town of your expected arrival time in advance. You can use the Special Requests box when booking, or contact the property directly using the contact details in your confirmation. Not clean, a very bad bathroom, i book for 6 nights but i couldn't stay so i book 3 nights out!! Property wasn't as described/pictured. The flat below had a party which went on until 3.30am with very loud music - awful start to our trip. Daughter refused to stay and returned back to Oxford. Kitchen grubby, no curtains or blinds and overlooked by properties opposite. Questionable electrics, with extension cables and multi-plugs. Noisy. The bedsit could have been more appealing if more had been done with the decor! Bland and uninspired! A bit rough round the edges, and back of property could do with a tidy. TV was rubbish, not working properly. Windows filthy. Noisy at night! Not conducive to a good nights sleep! Convenient for tube. Comfy enough. Quite loud as the bedroom is on the main street side and also you can hear everything your upstairs neighbour is doing. Great location and modern flat. It would be nice if there were a mirror over the sink in the toilet area for shaving. Plus hot water. Some noisy neighbours at times. Some wear and tear around the flat.